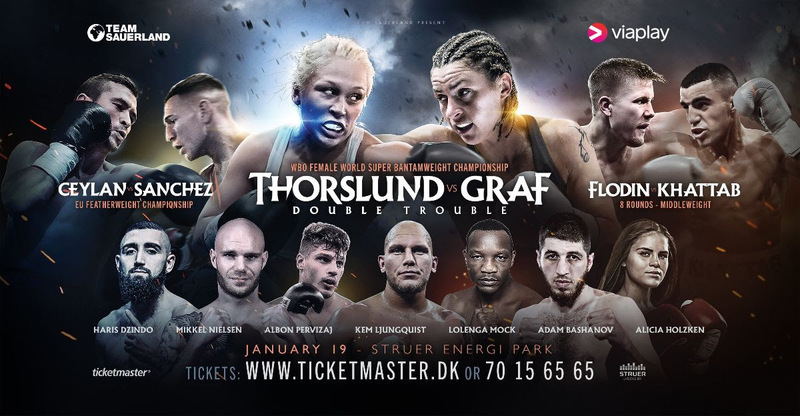 Ceylan will be looking to avenge his shock knockout loss to Sanchez at the same arena on March 10 as they contest the EU Featherweight crown on the undercard of Dina Thorslund’s WBO World title defence against Alesia Graf. “One thing is for certain, I will give my everything in the ring, and that should be enough for me to win on Saturday. Most fighters are in trouble when I’m boxing at my best,” says the former European Champion from Aarhus. Despite offering this career ultimatum, Ceylan is confident of victory, even if this means going against his instincts, and knows he must beat Sanchez to get the big fight he craves, including a rematch with IBF Champion Josh Warrington. “I will need to patient, at least that’s the tactics, but patience, to be honest, is not exactly my strong suit,” he says. “I’m an eager beaver, and it can quickly become unbearable for me when nothing is happening in a fight, and I would rather give the fans some action for their money.